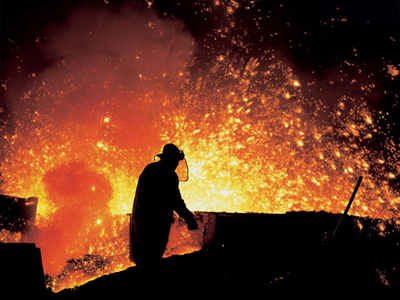 Pakistan’s largest steel producing mill in the private sector, Tuwairqi Steel Mills Limited, is ready for commercial production in the first week of January 2013. It will cater not only steel needs of the country but also export value-added products to other countries. The setting up of the mega project would entice foreign investors in the country. The mega project of over $350 million is mainly sponsored by Saudi Arabian-based Al Tuwairqi company (ISPC) and Posco of South Korea. These views were expressed by TSML Director Project Zaigham Adil Rizvi at a seminar held at a local hotel on Monday. He was flanked by chief guest Engineering Development Board CEO Qazi Abdadullah. EPZA Chairman Saadat Cheema, POSCO Resident Director Young-Ho Yoo, Punjab Health Minister Khawaja Sulman Rafique, Nespak Vice President Iftikhar Qazi, Banu Mukhtar CEO SM Assad, Izhaar Group CEO Marghoub, Shajarpak MD Khawaja Usman, Midrex Commissioning Managers Paul Jaimungal Singh, Waddington Stawrt Godfrey and MMTE Plant Manager Masoud Darvishi also speak on the occasion. Posco-South Korean steel giant – has invested $16 million to keep the mega project going. Khawaja Usman of Shajarpak said, “If we can become atomic power why not a steel giant”. He said that currently Pakistan was depending on imports for the production of heavy mechanical structures and engineering goods but after producing high-quality steel at the TSML plant, Pakistan would be able to manufacture heavy equipment locally.